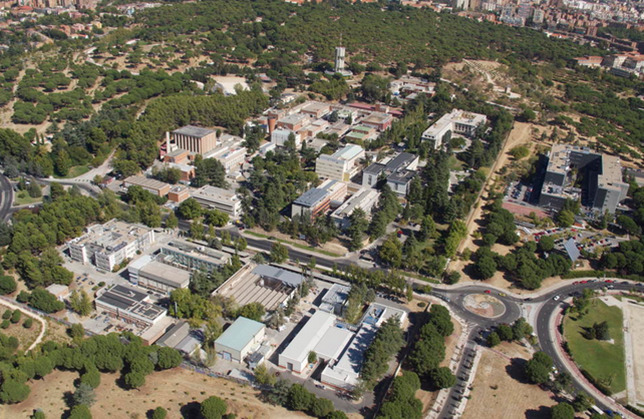 CIEMAT is located at the very end of the University Campus (Ciudad Universitaria). Please, note that to access the Centre you need to show your ID or Passport at the Security point where the related personnel will give you a guest card and a map of the different buildings. CIEMAT premises are open from 07:00 to 19:00. For more information about CIEMAT, please visit http://www.ciemat.es. Meals and coffee-breaks covered by the organization will be served at the dining room located on the 2nd floor of Building #1. There is also a canteen, which is located in the basement of Building #1. Accommodation is expected to be offered by Casa do Brasil. Further information will come soon. SC-Camp recommends Casa do Brasil for accommodation purposes. 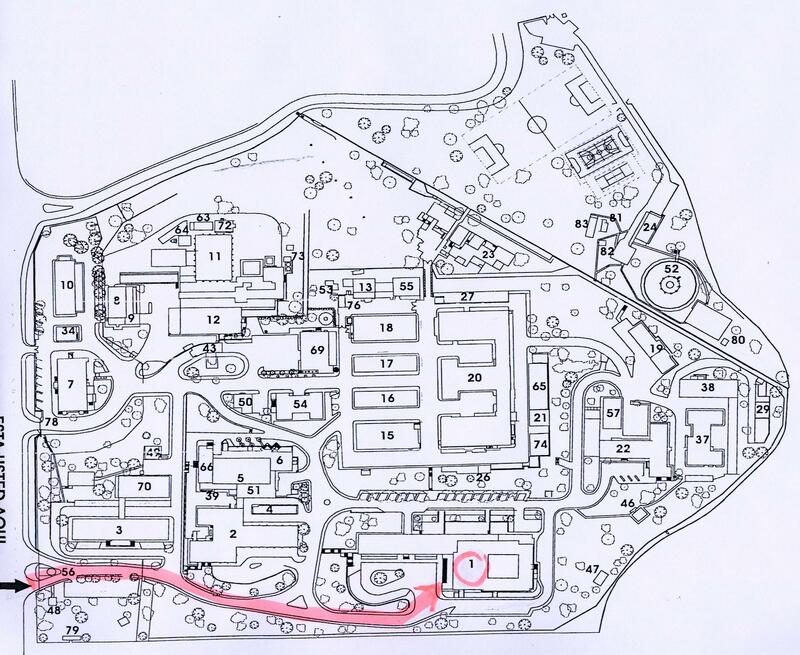 Even when it is in a 20-min walking distance to CIEMAT, it is also directly connected to the venue by public transport (bus #82), see the map above for better estimation. Please email sec@casadobrasil.es using ‘SCCAMP-CIEMAT’ in the subject for reservations. Fares can be consulted on the Casa do Brasil website. In addition to the hotels, there is also a huge range of hotels in Madrid. You can make your own arrangements for accommodation either contacting those hotels or visiting websites such as http://www.trivago.es, http://www.booking.com, etc. Please bear in mind that public transport can be only accessed with an electronic card to be purchased at Metro stations, where several machines are located (available languages are Spanish, English, French, and German). Such a card must be firstly purchased and lately charged with money, though both operations can be made in a row. The fares shown in this document are indicative as they can change along the year. Take the Underground (Metro) Line 6 (grey-circle) to “Moncloa” or “Ciudad Universitaria” and take Bus number 82 (in front of the underground stations), which stops at the front door of CIEMAT (bus stop labelled as “Paraninfo-CIEMAT”). From Casa do Brasil, cross the street and wait for bus #82. The distance between Casa do Brasil and CIEMAT is ~2.0 Km, so you can go walking too. Line 8 (pink) links the airport with the centre of Madrid at “Nuevos Ministerios” in just 20-25 minutes depending on your landing in Terminals T1, T2 and T3, or in T4 respectively. The stop for the T1-T2-T3 case is located close to Terminal 2. Metro service operates between 06:00 a.m. and 01:30 a.m. with departures every 5 minutes roughly. Terminal 4 has both train and Metro services and links downtown too. On arrival at “Nuevos Ministerios”, there is a connection with Line 6 (grey-circle) that will bring you to “Ciudad Universitaria”, “Moncloa”, and “Argüelles” stations. These stations are the closest to CIEMAT and the hotels depicted in the previous Google map. The whole Metro ride will take around 45 minutes and the cost from the airport is of 5.00 €. You can access the airport train, but only at Terminal 4 (both Metro and train stations are accessed at the T4 basement). It connects you with “Chamartin”, “Nuevos Ministerios”, and “Sol” stations among others. Trains departure every 30 minutes and the single ride costs 2.60 €. The so called “Exprés Aeropuerto” rides 24x7. The ride also costs 5 € and longs for around 30 minutes. Frequencies are 15-20 during the day and 35 min during the night. The stations are T4 – T2 – T1 – O’Donnell street – Cibeles Square – Atocha train Station. There are taxi ranks in front of the arrival lounges at all four Terminals at Madrid airport. Whenever you will pick it up, a taxi to downtown costs 30€ (fixed rate) and includes every additional service such as VAT, transport of luggage in the trunk, etc. You can ask the driver for an official receipt.